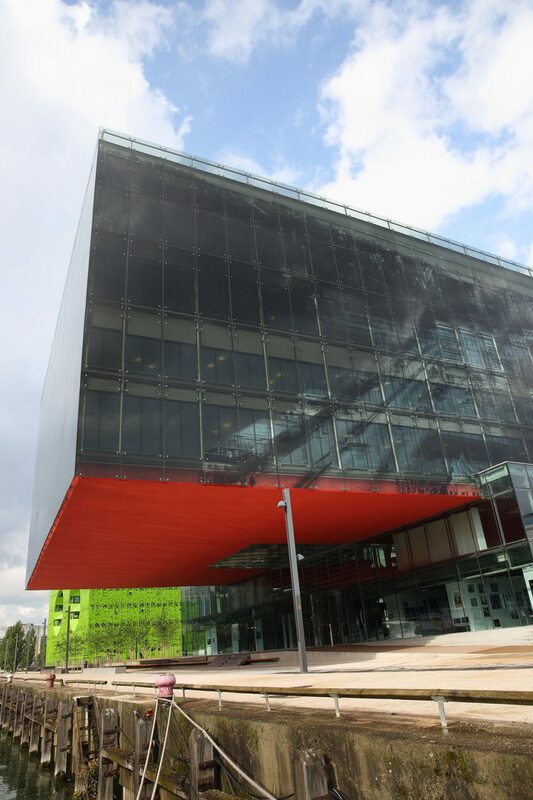 “Pavillon 8” is an office block built on the site of the former Renault factories on Quai Rambaud. It consists of two irregularly stacked boxes. 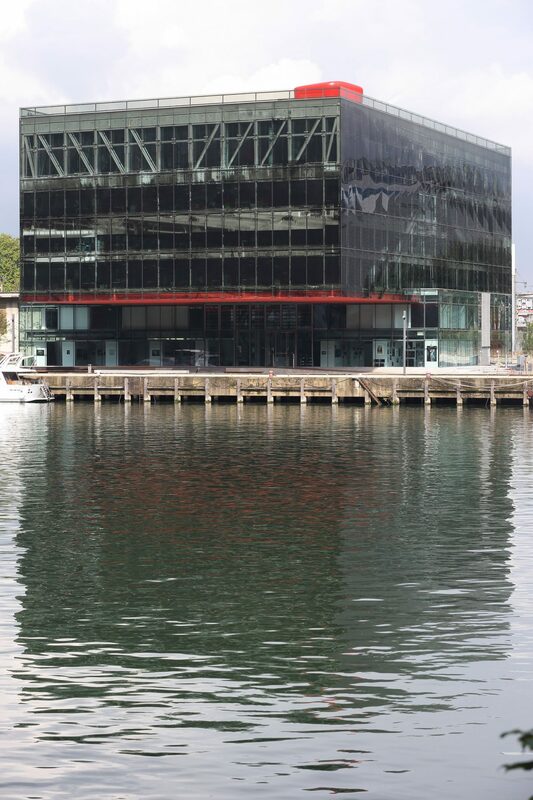 The lower one is accessible to the public, while the second one, built round an atrium and cantilevered nearly 100 feet above the dock, is occupied by offices. 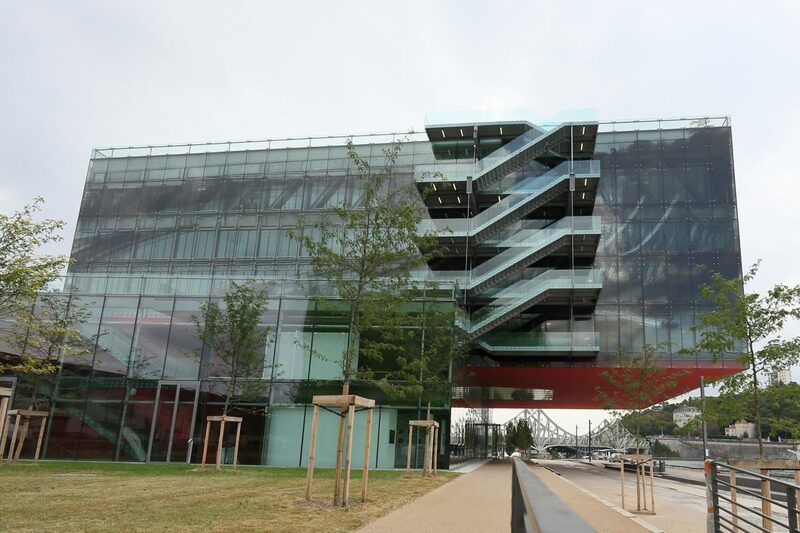 The whole building is fitted with a double-skin facade consisting of an internal and external glass shell. The inner shell is made of steel profiles with insulating glazing and provides the building’s heat insulation. 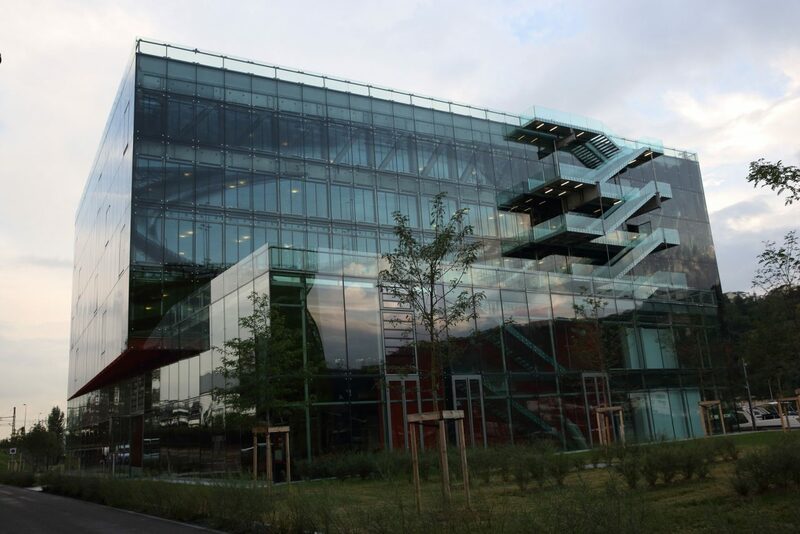 As a point-fixed facade with single glazing, the outer shell helps to improve heat insulation as well as sound insulation. The glazing is screen printed with a unique pattern and shows the city facing the building in black and white. The glass roof over the atrium is fully supported by glass fins and is made of photovoltaic glazing.